Jock Matthews (M.A.) is a psychological/cognitive behavioural therapist who specializes in the assessment and treatment of anxiety disorders, Attention Deficit Hyperactivity Disorder (ADHD), depression / mood disorders, occupational stress and relationship problems secondary to these presenting problems. He is involved in assessing and helping people understand and cope with: panic attacks, social anxiety, obsessive compulsive symptoms, generalised anxiety, specific phobias and other stress related difficulties. His area of particular interest is in the treatment of OCD (Obsessive Compulsive disorder), ADHD and group therapies. He is involved in providing psychological assistance to a range of staff in a number of health settings and large organizations. He has worked in community mental health services and anxiety disorder clinics since moving to Auckland in 1992 from the south island of New Zealand. Jock has been in his current role of Clinical Director since 1997, where he works with our multi-disciplinary team, assisting in managing psychiatric and psychological treatments across the clinicians within the team. Dr Igor Kacer brings 20 years of clinical experience in the field of Psychiatry and Psychotherapy overseas and in New Zealand where he has worked for the last 8 years. Originally from Germany he is currently working as Lead Clinician at Cornwall House Community Mental Health Centre in Greenlane Clinical Centre. He is also a Senior Honorary Lecturer at the Auckland University Medical School and in the RANZCP Postgradual training for Psychiatry in the Auckland Region. Igor is specializing in diagnostics and treatment of Depressive Disorders, Anxiety, Obsessive Compulsive Disorders, PTSD (Post Traumatic Stress Disorder) and ADHD (Attention Deficit Hyperactivity Disorder). In addition he specializes in psychodynamic and psychoanalytic pschotherapy of depression, PTSD, Anxiety and Obsessive Compulsive Disorders focusing on major conflicts and difficulties, which prevent progression toward goals in life. Is a Consultant Psychiatrist with 18 years of experience. She is a Fellow of the Royal Australia and New Zealand College of Psychiatrists and a member of the Special interest group for Perinatal and Infant Psychiatry, SPIP. She qualified to assess and treat across the age range from infants to the elderly, Vanitha is experienced in providing age appropriate specialized service, and has an advanced certificate in Child and Adolescent Psychiatry, she is specially skilled in assessing children and young people with emotional/psychological problems impacting their growth and development. Apart from providing psychiatric care, Vanitha is trained in various psychological therapies such as CBT, IPT, ACT and psychodynamic psychotherapy. With training in EMDR for there conditions. Managing a family of three children and demanding she understands the pressures of family life, couple dynamics and the challenges of raising children. Vanitha is vocationally registered with New Zealand Medical Council and has been an integral part of projects focused at improving mental health outcomes. Is an educational psychologist and CBT therapist. Coming from Ireland Tom has lived in NZ for the last 20 years. He has taught English, worked with people Dyslexia, psychologist role with the Ministry of Education working with schools, families as well as training teachers, and working with children and adolescents. My particular areas of interest: include anxiety, depression, dyslexia, ADHD and other learning difficulties. I have a keen interest in neuro-psycotherapy and schema therapy. I can work with both child and adult clients to create therapeutic environment where clients' stories can be told with clients secure in the knowledge that their information is protected by strict confidentiality. Ange is a very experienced therapist. She is a registered clinical social worker, with a MA in social work, and a postgraduate diploma in Cognitive Behavioural Therapy. She has worked in mental health settings for the past 20 years with additional experience in corrections and addictions. During this time she has been involved in developing evidence based treatment programs and she is passionate about the effectiveness of talking based therapies both in group and individual settings. Her particular interests lie with the treatment of anxiety, depression, addictions and working with youth. Dr Rui Mendel is a psychiatrist with over 27 years experience in the field. After graduating in Medicine in Brazil he moved to England to train in psychiatry at the prestigious Institute of Psychiatry, King's College in London. He then went on to train at the Department of Psychological Medicine, University of Otago Dunedin before returning to Brazil where he attained the qualification of Specialist in Psychiatry by the Brazilian Psychiatric Association. He is also a Member of the American Psychiatrist Association. Following an invitation to work in Sydney, Australia, he took the opportunity to take on advanced training in Child & Adolescent Psychiatry and Old Age Psychiatry before moving to Melbourne where he worked as Consultation - Liasion Psychiatrist and General Adult Psychiatrist for four years before returning to New Zealand, the country he fell in love with. Is a dually-trained nurse practitioner and cognitive behavioural therapist with over fifteen years of clinical experience within a variety of different treatment settings. As both a nurse, practitioner and therapist Anna, is able to provide a thorough diagnostic assessment and offer both pharmacological and psychological treatment options so that a multitude of client needs can be met. Anna has experience in working with children and adolescents, adults, couples and families and has adult ADHD and has a special interest in woman's health and hormonal issues which affect mental wellbeing. 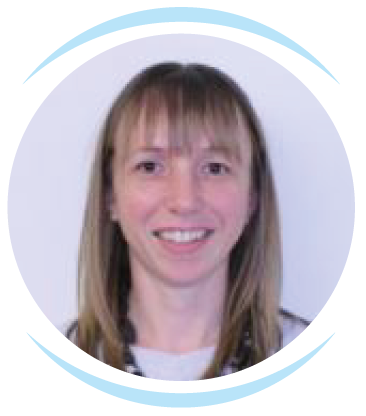 Anna has a developing interest in nutritional psychiatry and enjoys working with cluents on achieving holistic gains in order to protect both mental and physical health into the future. Anna originally trained as a registered nurse in Dunedin and worked in both adult, child and adolescent services before moving to United Kingdom where she undertook a post graduate diploma in cognitive behavioural therapy. Since Anna's return to New Zealand in 2009 she has worked both as a professional teaching fellow for the University of Auckland, as well as working clinically in her home town of Pukekohe and throughout the country as a consultant and trainer for organisations such as Te Pou and a variety of district health boards and non-governmental services. An Educational Psychologist consulting in the areas of Autism Spectrum Disorder, ADHD, Specific Learning Disabilities, Anxiety disorders, Depression Self-Esteem Enhancement and Social Interaction Disorders. Over the last 40 years Lou has worked as a primary, secondary school teacher of children with 'Special Needs' (15 years), Tertiary Senior Lecturer in the area of Educational Psychology, Manager of Intervention Programmes for Children with Autism Spectrum Disorder, ADHD, Anxiety, Depression and Behavioural Disorders. Lou was awarded the Notre Dames Dean's Award for Excellence in Teaching and the Vice Chancellor's Award for Excellence in Teaching. Lou has supervised major research projects related to intervention for Specific Learning Disabilities and Integration of Adolescent Students with Autism Spectrum Disorder. Lou designed and implemented a number of programmes related to enhancement of self-esteem: (Thompson, L.J. (2006) Hey Thompson, Ready-Ed Publications; Perth. Experienced in Cognitive Behavioural Therapy; Individualised Educational Programme Design and planning and implementation of Behaviour Management strategies. Is a New Zealand registered Occupational Therapist with 16 years of clinical experience in the mental health field. Originally from the windy city of Wellington, Diana gained her Bachelors degree in Occupational Therapy from Otago Polytechnic in 2001. It was during her student placements that she discovered her passion for mental health and has never looked back. Diana has worked in both inpatient and community settings for a number of District Health Boards and is excited to now be working in private practice. Diana prides herself on treating each client as an individual, taking into consideration their personal values, cultural and religious beliefs. She has a great passion for working alongside people of all ages to achieve their goals and to live well in the presence or absence of mental illness. Diana draws on a range of occupational therapy and psychological models to inform her treatment recommendations. As well as working with individuals, Diana is an excellent group facilitator. The focus of her individual and group sessions can include: overcoming social anxiety, living with a cognitive impairment, goal setting, motivation, structure and routine planning, self-esteem, assertiveness, communication skills, and developing a coping kete. Diana also specialises in teaching sensory modulation skills and strategies for self-regulation and managing anxiety. 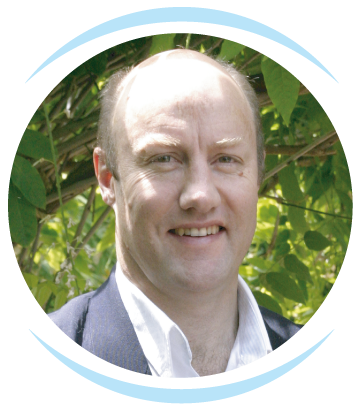 David is a registered clinical psychologist who offers individual, couples and family therapy. His main goal as a therapist is to help people process and make sense of their challenges, develop new insights and to make practical behavioural changes so they can reconnect to the important things in their life. He works to facilitate a therapeutic process which is guided by their hopes for change in partnership with his knowledge and experience of mental health. 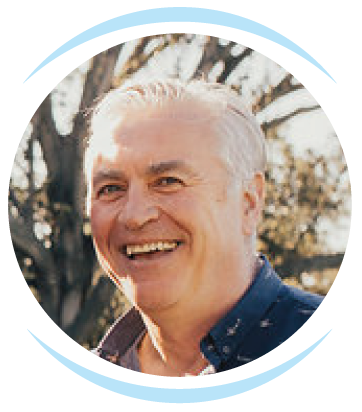 David adopts therapy practice from a number of different modes, including: Cognitive Behavioural Therapy (CBT), Acceptance and Commitment Therapy (ACT), Family Systems Therapy and information gleaned from human physiology and neuro-psychology. David has been a registered clinical psychologist for over 10 years and has worked across a number of different public health and private settings. He has extensive experience conducting mental health assessments and working with people dealing with a wide range of life problems. Melanie Prinsloo is a registered clinical psychologist with over 8-years’ experience in working with adults, adolescents and children in both South Africa and New Zealand. She also has extensive experience in working with families and couples. Over the course of her career she has worked in private practice, a trauma centre, health departments (various clinics and hospitals) and forensic settings to provide psychological assessment and treatment. She follows an integrated approach and utilises evidence-based treatment such as cognitive-behavioural therapy, schema therapy and play therapy. She believes in the importance of tailoring the psychotherapeutic process to suit the client’s needs and to provide the client with an impactful experience to facilitate change. She has specific interest in working with depression, anxiety, phobias, trauma, bereavement, addiction and relationship difficulties. Dr. Joe Guse is a former comedian from the Pacific Northwest, who performed around Chicago for several years before deciding to go into psychology as a career. Joe made this seemingly odd transition after working as an entertainer in nursing homes, where he found that there was a very strong relationship between laughter, resilience, and healing. This relationship between laughter and mental health has been the crux of Joe's work as a Psychotherapist/Clinical Psychologist and he has since written 19 books on various topics detailing his experiences integrating laughter into his work. Joe has joined Rojolie Clinic at the start of 2019 and can assist people with anxiety, ADHD, depression. He has worked with older people and the veteran population and those struggling with substance abuse. Joe works in private practice in Remuera and continues to work in Chicago, and also does seminars around the country helping people explore the relationship between humor and mental health in their own lives. Joe holds 2 Master's degrees in Human Development and Counseling Psychology, and a Doctorate in Clinical Psychology. He is a Clinical Psychologist licensed in Illinois, Washington, New Zealand, and Australia. Is a Clinical Psychologist with 8 years experience in the treatment of anxiety and mood disorders for both adults and older adults and most of this experience gained working in hospital settings. Alongside this is a special interest and experience in cognitive screening and neuropsychological assessment as well as the assessment and treatment of illness anxiety, mood/anxiety and adjustment disorders concurrent with medical conditions. Additionally, she has experience in pre-surgical assessments, support and treatment of acute stress disorders post-medical intervention. Interventions are grounded in cognitive behaviour therapy framework and elements of transactional analysis, motivational interviewing, grief therapy, trans-theoretical stages of change are used as and when indicated.